On May 15, 2018, USCIS revised its Policy Manual, effective immediately. The agency will no longer count the jobs created for US workers through tenant occupancy of EB5 properties. The result of this change is to reduce the amount of immigrant investor funds available to create jobs for US workers. “EB5” refers to the US employment-based fifth preference immigrant visa. EB5 is a program (sometimes called “traditional EB5”) Congress created in 1990 to stimulate the US economy through job creation for US workers using investment by foreign investors. In 1992, Congress created the Immigrant Investor Pilot Program (regional center EB5), a temporary program that Congress has repeatedly extended, most recently through September 30, 2018. (See our previous posting “EB5 immigrant investor visas are available again”). Both types of EB5s generally require that at least ten full-time equivalent new jobs for US workers be created by each immigrant’s investment. A key advantage of a regional center EB5 is that “indirect” and “induced” jobs are included in the job creation count (in addition to “direct” jobs), whereas a traditional EB5 counts only direct jobs. Direct jobs refer to US workers employed directly by the business that received the EB5 investment. Payroll tax records show direct jobs. 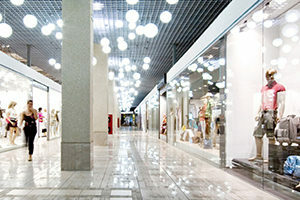 Indirect and induced jobs refer to employees of other business as a result of EB5 investment. The calculation of indirect and induced jobs is based on an economic analysis using models accepted by USCIS. The “tenant-occupancy” model counts job creation by independent tenant businesses that lease space in buildings developed with EB5 funding. In the past, USCIS accepted the tenant-occupancy model. USCIS’ skeptical attitude toward the tenant-occupancy model can be traced back to early 2012 when it rolled out a Request for Evidence (RFE) template for tenant occupancy seeking evidence that the projected jobs attributable to prospective tenants would represent only newly created jobs, and not jobs that had merely been related from another location. In December of that year, USCIS issued “Operational Guidance for EB-5 Cases Involving Tenant-Occupancy,” which clarified that to claim tenant jobs, the economic analysis must project the number of newly created jobs that would not have been created but for the economic activity of the EB5 commercial enterprise. In making that projection, the claimant must use economically and statistically valid forecasting tools. USCIS made determinations on a case-by-case basis and would generally require an evaluation of the verifiable details provided and the overall reasonableness of the methodology as presented. Will there be tenants to occupy the space once construction is completed? Will the tenant jobs be “new jobs” and not “merely relocated”? Are the job creation estimates based on a reasonable and transparent methodology? Over the years, practitioners in the EB5 field have reported that in tenant-occupancy cases, USCIS, when issuing RFEs or Notices of Intent to Deny, tended to require EB5 immigrants to either (i) remove tenant jobs from the job creation calculation; or (ii) submit additional evidence that shows by the preponderance of evidence (more likely than not) that the tenants will be there to occupy the commercial space when the project is finished, that the tenant jobs are not merely relocated from another commercial space within the same geographical area, and that the estimated number of tenant jobs is a reasonable estimate. Given the lengthy adjudication time, the capital at stake and the uncertainty involved, many EB5 immigrants gave up claiming tenant jobs. Subsequent formulations of EB5 projects largely steered away carefully from the tenant-occupancy methodology to avoid potential issues. Now, USCIS has formally rescinded its previous guidance and will no longer consider tenant-occupancy methodology. The agency will continue to give deference to Form I-526 and Form I-829 petitions directly related to previous approved projects, absent material change, fraud or misrepresentation, or legal deficiency of the prior determination. USCIS is accepting comments on the new policy until May 29, 2018. Full text of the agency’s Policy Alert can be found here. Dentons represents regional centers, EB5 investment programs and individual investors on both traditional and regional center EB5 programs. Please contact your Dentons lawyer for more information. The US Departments of State and Homeland Security both issued statements on February 6, 2017, confirming that the government has suspended the implementation of key provisions of President Trump’s travel ban on nationals from seven Muslim-majority countries, and that visas that had been provisionally revoked are now valid for travel and may be used, once again, to come to the US, subject to the normal laws and procedures that existed prior to the President Trump’s executive order dated January 27, 2017. This action comes as a result of a Ninth Circuit Court of Appeals decision in State of Washington and State of Minnesota v. Trump, denying a US Department of Justice request for an immediate stay of a nationwide injunction granted by a US federal district court judge in Seattle in response to Washington State’s request for a temporary restraining order immediately halting implementation and enforcement of the immigration ban. The EO initially barred the entry to the United States of lawful permanent residents with green cards, and imposes a 90-day suspension of admission for immigrant and nonimmigrant visa holders, and refugees and passport holders from the seven countries. Soon thereafter, the Department of State issued an urgent notice suspending visa issuance to citizens of those countries. The EO also suspended the resettlement of refugees from all countries to the US for 120 days, and bans Syrian refugees indefinitely. Previous injunctions had been issued in federal courts in Massachusetts and New York. Those orders temporarily enjoined federal agencies from removing people with approved refugee applications, valid visas and the nationals from the seven Muslim countries. The Seattle court’s decision is the broadest and has the largest impact. The EO does not apply to citizens of other countries who merely visited the listed countries. Further, the US Customs and Border Protection Agency has stated that the EO does not apply to citizens of these seven countries, if they are dual citizens and use the passport of a non-affected country to enter the US. Nationals from the seven listed countries, including dual citizens traveling with the passport of another country and US permanent residents, may wish to delay travel to the US until the details of the implementation of the EO are more clear, even if they already hold a visa to enter the United States. If in the United States already, they may wish to defer departure as they may not be allowed to return or they may find themselves going through a more lengthy than usual secondary inspection on arrival in the US. There are also reports of airline personnel being understandably confused regarding the status of the EO, with resulting inconvenience to travelers. Broad media coverage of the confusion caused by the uncertainty surrounding the EO’s fate continues. Dentons continues to receive emails and calls from employers who are considering cancelling all travel for employees carrying passports from the impacted countries, including dual citizens and US lawful permanent residents. Similar concerns have been voiced by citizens of many countries that are not listed in the EO but are worried that their country might be next. Due to the reciprocal nature of diplomatic relations, it is likely that US passport holders traveling to the seven countries will experience similar difficulties upon their arrival. 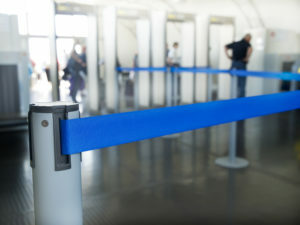 Iran, for its part, has said, it would stop US citizens entering the country in retaliation to Washington’s visa ban. Dentons will issue further information as it becomes available. With Donald Trump’s election as the 45th president of the United States, and the Republican Party retaining control of both the Senate and House of Representatives, employers can expect some changes. Join us for an engaging discussion on the Trump administration’s workplace policy priorities, their likely impacts on employers, and what you can do now to prepare for the changes to come. Among the topics to be covered are: the effect on the labor pool of proposed changes in immigration policy; the impact of Obamacare “repeal and replace” on employer-sponsored health plans; compensation issues; the future of regulations covering whistleblowing and human rights protections; the Trump NLRB; the DOL’s Fiduciary Rule; and workplace discrimination. Dentons partner Cynthia Jackson will lead a panel of Dentons lawyers as they tackle these questions and more. Campaign promises to increase worksite visa audits and investigations, build a wall along the Mexico border, establish a deportation force, and place new restrictions on immigration from some majority-Muslim countries may become law. 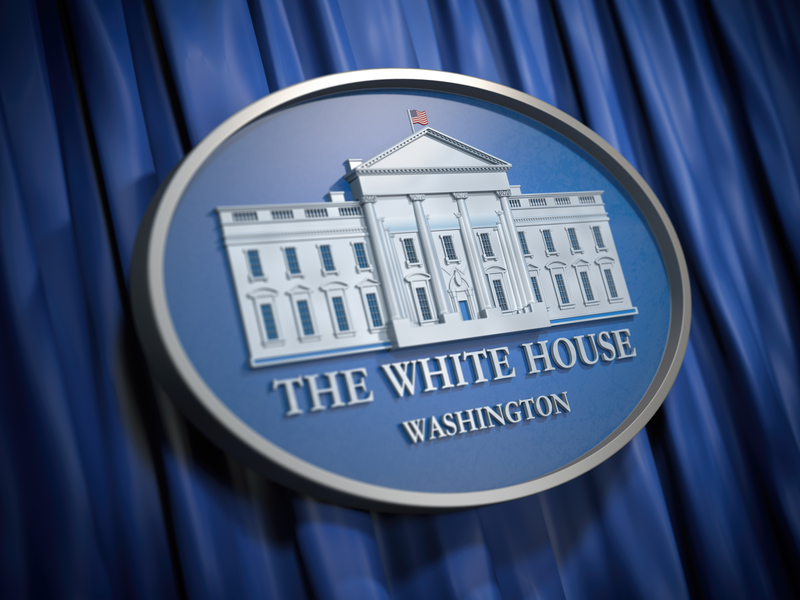 The new Administration is likely to adopt policies even before Congress acts. How will these developments impact employers who rely on business visas to hire the best and brightest from around the world? We will predict the future and provide guidance on how employers can prepare now. The election of Donald Trump to the presidency, together with Republicans maintaining control of Congress has, for the first time since the Affordable Care Act’s enactment, put the law’s future in serious question. With the new Administration taking the reins of government on January 20, we will discuss the distinct possibility of the ACA’s repeal and replacement, including options for the White House and the expected congressional timeline for debating and passing legislative changes. The Department of Labor raced to the end of the Obama administration with a wave of regulatory activity applying to the public sector and government contractors relating to overtime, blacklists, pay equality and sick leave. Courts stalled implementation of some of the more controversial regulations. How will the new administration act in its initial days regarding the recent flurry of regulations? During the campaign, President-elect Trump stated that he would dismantle Dodd-Frank, repeal President Obama’s executive orders and unburden companies of excessive regulation. We will address how that will impact whistleblower and bounty hunter programs at the SEC and elsewhere, as well as laws impacting eradication of human trafficking and slavery. The Trump NLRB is expected to reverse recent Board decisions relating to concerted activity, joint employment, election processes and other issues favoring labor. But when will the reversals begin? This presentation will address both NLRB issues and processes during the first year of a Trump presidency. In addition, we will briefly discuss the status and likely future of the DOL’s fiduciary rule. The Obama administration broadly interpreted Title VII to include anti-discrimination protections on the basis of sexual orientation and gender identity. We will look at whether that trend will continue under Trump. Other current trends in anti-discrimination enforcement and litigation will also be discussed, with a focus on statements made by the President-elect and his team during the campaign and the transition. Effective October 1, 2016, green cards will become more readily available for most people immigrating to the United States on employment-based (EB) immigrant visa categories. The US State Department announced in the October 2016 edition of its Visa Bulletin that the agency is processing requests under the EB1 category for all countries of birth, effective October 1. This category includes aliens of extraordinary ability, outstanding professors and researchers, and multinational managers and executives, regardless of place of birth. During the summer, the agency reported a lengthy backlog for EB1 immigrants born in mainland China and India. The EB2 category—for professionals with an advanced degree and aliens of exceptional ability—is also immediately available, except for individuals born in mainland China and India, for whom the category is backlogged to February 15, 2012, and January 15, 2007, respectively. The EB3 category—for professionals and skilled workers—has limited available for all places of birth. 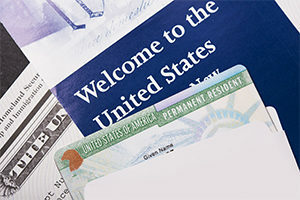 That said, the backlog for most places is to June 1, 2016, and it is not likely to slow the process of immigration, since the Department of Labor generally takes more than four months to grant the alien employment certification application, often referred to as PERM, longer and that is a prerequisite for EB3 immigration. The EB5 category—for investors—is currently available for all places of birth except mainland China, which continues to be where the majority of EB5 immigrants are born. EB5 is unavailable for China-born investors in projects in Regional Centers, while EB5 is available to China-born investors in non-Regional Center projects who have I-526 immigrant petition receipt dates on or before February 22, 2014. There is an annual limited supply of immigrant visas in all EB categories that is replenished effective October 1, the first day of the new fiscal year. In categories where the annual demand tends to be greater than the limited supply, the Visa Bulletins issued for October through April often show the most movement. There is often more movement in the dates for individuals born in mainland China and India during these months. The EB1 and EB5 dates that have improved so much since the September 2016 Visa Bulletin are likely to retrogress once again later in the fiscal year, but the State Department did not release a prediction as to when or by how much. The full text of the October 2016 Visa Bulletin can be found here. On March 18, 2016, the United States Citizenship and Immigration Services agency (USCIS) issued new policy guidance regarding how certain employment-based immigrants can change employers during the immigration process without jeopardizing the ability to obtain permanent residence. In general, employer-sponsored immigration under the employment-based first (EB1), second (EB2) and third (EB3) preference immigrant visa categories requires the sponsoring employer and the immigrant to intend to work together in the job identified on the immigrant visa petition. A change of employer prior to approval of permanent resident status (popularly referred to as a green card) does not automatically terminate the residence application, but does call into question whether the required intent remains. The result is that immigrants are generally reluctant to change jobs prior to completing residence, even when other American employers are trying to recruit them. In 2000, the US Congress recognized that slow processing by the USCIS (formerly the Immigration and Naturalization Service, or INS) harmed the ability of American employers to compete in the global market for key job skills, as immigrants chose other countries or were forced to leave the US because temporary visas expired before the USCIS completed its work. The American Competitiveness in the Twenty-First Century Act of 2000 (AC21) created greater job flexibility for immigrants to change jobs if the USCIS failed to complete processing of the application to adjust status to resident within 180 days, and if the new job is in the same or similar occupation as the old job. The USCIS was delegated responsibility to issue regulations to implement this law. Although the USCIS never went through the process mandated by law to issue implementing regulations, the agency issued three prior AC21 policy memoranda and a FAQ. The March 18, 2016, memorandum entitled “Determining Whether a New Job is in ‘the Same or a Similar Occupational Classification’ for Purposes of Section 24(j) Job Portability” (PM-602-0122.1) is the latest. This memorandum revises the USCIS Adjudicators Field Manual (AFM) to instruct officers to focus on the Department of Labor (DOL) occupational classification assigned to the jobs or other material information. The factors to be considered are: the duties, job requirements (skills, experience, education, training, license/certification) and wages. Location and employer industry sector are not identified, although both can certainly impact wages and are logically relevant in that regard. The DOL occupational classifications can be found at O*NET OnLine. The DOL’s Online Wage Library can help show how the same or similar occupational classification might result in a change of wage for different locations and over time. Some EB2 and EB3 visa categories require a DOL alien employment certification (PERM). In these cases, the DOL occupational classification is determined by the DOL on the prevailing wage determination and on the PERM application. The memorandum places the burden of proof on the immigrant to establish the DOL occupational classification for the new job. In contrast, there is no DOL determination for the EB1 visa category for outstanding professors and researchers (EB1B), or for the multinational managers and executives (EB1C) visa categories, which could make for less predictability or greater flexibility in the outcome. The memorandum places the burden of proof on the immigrant to establish the DOL occupational classification for these jobs. Aliens of extraordinary ability (EB1A) and aliens immigrant based on the national interest waiver (EB2NIW) self-sponsor, and are not impacted by a change of employer and the new memorandum. In cases where the jobs have different occupational classifications, but fall within the same broad occupation, the memorandum states the officer may treat such evidence favorably. It also states that such positions will generally be considered to qualify as similar if they largely share the same duties, experience and education requirements. The memorandum provides further guidance for career progression. While movement from junior to senior levels within the same occupation are likely to qualify, movement form a non-managerial to a managerial role will require a showing that the immigrant remains primarily responsible for the same or similar functions. The memorandum gives a favorable result in an example of a software developer being promoted to computer and information systems manager, while rejecting the promotion of a cook to food service manager, citing the different focus of the jobs as the defining characteristic. Read the full policy memorandum at the USCIS website. 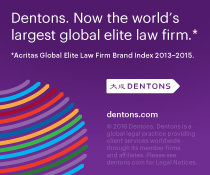 Dentons lawyers regularly guide employers and immigrant employees in developing and implementing strategies to preserve immigration benefits during such changes as work site relocation, career advancement, reductions in force and changes of employer, including AC21 issues. Investors, their spouses and unmarried children under 21 can become US permanent residents by creating (or saving) jobs for US workers through investment. This is the employment-based fifth preference immigrant visa (EB5), of which there are two types. The second type was created in 1992 and is commonly referred to as the “Pilot Program” or “Regional Center.” The Pilot Program, as the name suggests, is only a temporary law that expires. It has been regularly renewed every few years. The current Pilot Program expires in 2015. While some of the requirements for the Traditional and Pilot Program EB5 are the same, there are very important differences. The choice of what type is best often varies depending on the needs of the individual investor and the investment project. Expiration. The Pilot Program EB5 expires; Traditional EB5 does not. This is an advantage of the Traditional EB5. In 2012, the Pilot Program was extended for three years. Since it became law in 1992, Congress has regularly extended the Pilot Program. Sometimes the extension becomes law before the Pilot Program expires and sometimes after. The 2012 extension happened almost on the expiration date. The temporary nature of the Pilot Program is a concern for the government-designated regional centers authorized by the Pilot Program. 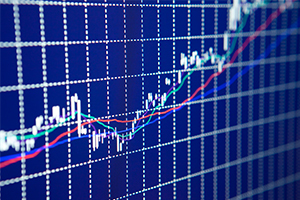 Investors are often concerned by the uncertain nature of the Pilot Program as a temporary law. This concern is especially acute every time that the Pilot Program nears expiration. Unless the EB5 immigrant petition is granted before the Pilot Program expires, it will be denied and the chance to immigrate through the investment lost. Many ask if Congress will permanently authorize the Pilot Program. Although this proposal is often discussed, there is no pending proposal before Congress at this time to make the Pilot Program permanent. In contrast, the Traditional EB5 does not expire. Individual investor immigrant petitions can continue to be processed at all times. Job creation. EB5 is the employment creation visa, not the investment visa. Creating jobs is key to approval of the EB5, regardless of whether the investment realizes profit or loss. Both Traditional and Pilot Program EB5 require the creation (or preservation) of at least ten full-time equivalent jobs for US workers. Direct jobs. Both the traditional and Pilot Program EB5 count direct employment with the company in which the EB5 investment is made. 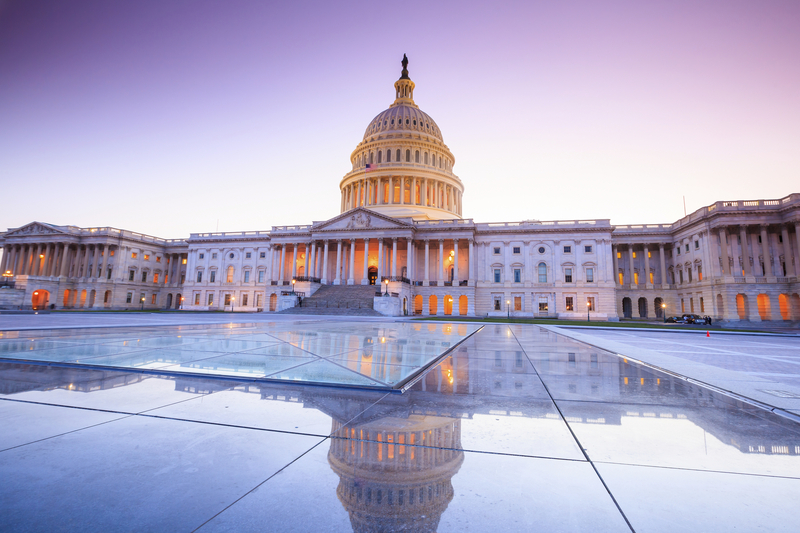 The government looks to the payroll tax W-2 records and other evidence of direct employment. Indirect and induced jobs. Only the Pilot Program EB5 counts indirect and induced jobs at other companies that are considered to be created as a result of the investment. 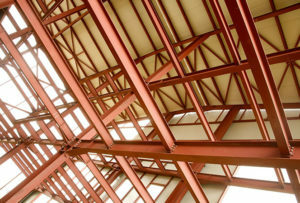 A typical example of indirect or induced jobs are the construction jobs created as a result of an investment in a company developing residential property. The construction company is their employer. The EB5 investor invests in the company that hires the construction company, which in turn hires the construction workers. There are many types of indirect and induced jobs. The possibility to include these in counting the job creation can result in much higher job creation numbers. This allows for more investors to be involved in a common project, which in turn means there is more investor money available to fund larger, more expensive projects. These are the types of investment opportunities that benefit from the Pilot Program. But it is harder to count indirect and induced jobs. 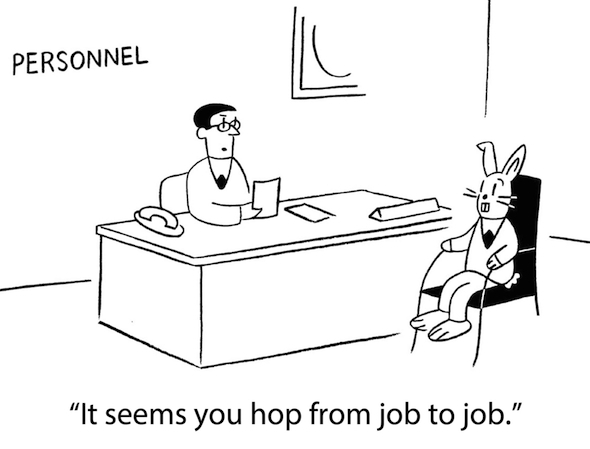 The normal payroll record approach is not an option. Pilot Programs must apply to the government to be designated for the specific types of jobs that they plan to create to obtain government permission to count indirect and induced jobs. Additional rules apply to constructions jobs, which the government considers to be temporary and not counted except where the construction work will last for at least two years. This prevents the count of any (direct, indirect or induced) construction jobs for any shorter construction projects. Traditional EB5 does not require any government preapproval for specific types of job creation. Pilot Programs must submit detailed business plans that provide a detailed explanation of how and when the jobs will be created. The government reviews business plans carefully. Requests for Further Evidence or Notices of Intent to Deny are not uncommon if the government believes the business plan is insufficiently detailed or unsupported with sufficient backup documentation. Industry expert opinion statements may be required to substantiate claims about revenue projections, occupancy levels, etc. Traditional EB5 also requires business plans, except if all of the jobs are created prior to filing the immigrant petition. Pilot Programs must obtain an economic analysis that uses one of the government approved economic models to forecast indirect and induced job creation. There are a number of private economists working with Pilot Programs. The process to obtain the economic analysis can be expensive and slow. The government recently hired its own economists to review the privately prepared economic analysis. The government economists have raised new questions in areas seemingly long resolved by the government. Some of their work has resulted in much lower job count, which means less EB5 investment money to fund projects. This has detrimentally impacted many Pilot Programs. Traditional EB5 does not require economic analysis. Finishing quickly. EB5 projects involving a single investor or a very small group of investors generally move through the immigration process faster than projects that involve large or very large groups of investors. This is because most projects need a specific amount of investment from EB5 immigrants in order to hire all of the US workers and do business, including construction, if any. Until the project receives enough investors to proceed, the success of the project is in jeopardy. Big projects that require large numbers of investors can be under intense pressure to attract a sufficient number of investors quickly enough too proceed with the project. Small projects that require only a single or small number of investors are more likely to be able to immediately proceed. Even EB5 investors granted two-year conditional residence status remain at risk until the required number of jobs are created and the conditional basis of their residence can be removed. Job creation and business operations must be scheduled so that all investors have their funds committed to the project. Even after individual investors have the conditions removed from their resident status, the investment and business operations are likely to need to continue until the last investor’s conditions are removed. Traditional EB5 projects usually involve an individual or a very small group of investors. Pilot Program EB5 projects usually involve large or very large groups of investors. Because of this, traditional EEB5 projects tend to start and end more quickly than Pilot Program projects. Annual reporting. Pilot Programs are required to file annual reports with the government. Traditional EB5 does not. Pilot Programs report annually on their amount of investment and job creation. This information is also allocated by industry category and each investment opportunity at the designated Pilot Program. Pilot Programs also report on the status of immigrant investor petitions and removal of conditional resident petitions. These reports are filled with the government, not individual investors. The time and money involved to prepare the annual reports depend on the complexity and number of ongoing projects within the Pilot Program. Failure to timely file can result in lose of the regional center designation required for the Pilot Program and the denial of all pending individual investor petitions. No equivalent annual reporting requirement is imposed on Traditional EB5. Investment amount. A $500,000 investment can qualify for both Traditional and Pilot Program EB5. In general, all types of EB5 require a minimum $1,0000,000 investment. To encourage job creation in targeted employment areas ( TEA), Congress lowered the investment requirement to $500,000. TEAs are generally either areas with higher than normal rates of unemployment or areas defined by the government as rural. Both traditional and Pilot Program EB5s can be located in TEAs. The odds are very long that Congress will enact comprehensive immigration reform legislation in 2014, and the odds may not improve much in 2015. The optimism that surrounded the Senate’s passage of a bipartisan bill in June 2013 has yielded to House leaders’ charges that President Obama cannot be trusted to enforce immigration laws. Even narrower measures, including a bill providing a path to citizenship for undocumented immigrants who serve in the United States military, face vigorous opposition as the 2014 mid-term elections approach. Washington’s immigration law stalemate contrasts starkly with rapidly accelerating global mobility. According to the United Nations’ International Migration Report 2013, the number of international migrants increased 50% between 1990 and 2013 to nearly a quarter of a billion. The country hosting the largest number of international migrants in 1990 and 2013? The United States. The United States is also the world’s largest magnet for skilled workers who, with help from prospective employers, navigate a legal maze of visas and potential pathways to permanent legal resident status. The Senate’s comprehensive bill would expand existing visa and green card categories for skilled (and unskilled) workers and create a few new categories, including a highly anticipated visa for foreign entrepreneurs. House bills and House leaders’ “immigration reform principles” would generally expand existing categories even more. But none of the leading bills would allow skilled workers, regardless of their birth place, to put their talents to their highest use or allow employers to compete for all of the skilled workers they need. Matching workers’ skills to appropriate jobs contributes to rising productivity and economic growth. Prohibiting workers from moving to jobs where they will succeed robs them of rising incomes. It also destroys incentives for workers to invest in skills development. Absent a return, there is little reason to invest. Thus, even if legislation emerges from Congress in 2015 or 2016, it will not end the debate over skilled workers’ mobility. Future discussions could bypass the heated domestic immigration debate in favor of a multinational discussion of global visas for skilled workers. The goal would be to allow freer international movement for well-educated, highly productive workers and greater competition among employers. The European Union’s essentially free migration between member countries and several trade agreements between the United States and selected countries offering liberal “trade agreement” visas to some workers suggest models. The framework would be the General Agreement on Trade in Services (GATS) — the lesser known portion of the World Trade Organization’s trade regime. GATS Mode 4 invites new rules governing service provision in one country by the citizens of another. A global visa for skilled workers would radically change global mobility. For this reason, a phase-in strategy is a necessary step to broad acceptance and adoption. The “starter model” might involve free migration for incumbent employees committed to their current employers, like the United States’ L-1 visa. A more advanced model would allow free migration of signatory states’ citizens with verifiable tertiary education credentials (e.g., bachelor’s degree) and an established high-skill work history. The ultimate goal would be free migration for all such skilled workers, regardless of their country of birth or residence. Skilled workers’ global visas should neither bind them to a particular employer nor require proof of a shortage of workers with their skills. The U.S. unemployment rate among workers with bachelor’s degrees or more education is half the national average. Further, the value of existing labor market tests is questionable, at best. Rather than spending money on bureaucratic procedures, employers should aggressively bid up workers’ wages and benefits. And workers must have full legal protections under the laws of their host country. Perhaps most important, after some period of time, host countries should offer the reward many immigrants prize most — earned citizenship. This approach to global mobility for skilled workers faces important challenges. Developing countries have legitimate concerns about “brain drain” as their high-skilled citizens flock to higher income countries. These countries may want to include a broader swath of workers in a liberalized transnational mobility system to benefit their citizens. Extensive negotiations will be required, and the concerns of developing countries and their citizens should be redressed. But the effort is worthwhile, to assure fair opportunities for upward mobility to workers across the world, to assure employers can find the skilled workers they need, and to promote global economic growth. H-1B blast off complete: Was the mission a success? On April 7, 2014, the US Citizenship and Immigration Services agency announced it received more new H-1B petitions than it is authorized to approve for the fiscal year 2015. This includes both the 65,000 global supply, as well as the 20,000 supply allocated to foreign professionals who earned a graduate degree from a university in the US. The USCIS has not yet announced the date on which it will conduct the random selection process. We will update this blog when more news is available. No more new H-1B petitions will be accepted, but the USCIS continues to accept petitions exempt from the quota limits, including petitions filed for professionals previously counted, regardless of whether an extension, change of employer, concurrent employment, or employment with a university or related research organization is exempt from quota limits. 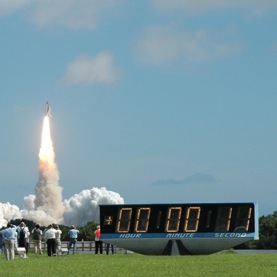 On January 16th, we posted here our H-1B Blast Off Countdown. As predicted, the demand by US employers continues to outstrip the inadequate supply allocated by Congress. Access to the skilled workers needed by employers to compete globally continues to be determined, at least initially, through a random selection process that does not prioritize or favor specific occupations, large or small employers, industries, etc. Although there has been much talk in Congress about comprehensive immigration reform measures that include increasing the supply of new H-1B visas, there has been no legislative movement lately and any quota increase before the 2014 mid-term elections in November seems increasingly unlikely.